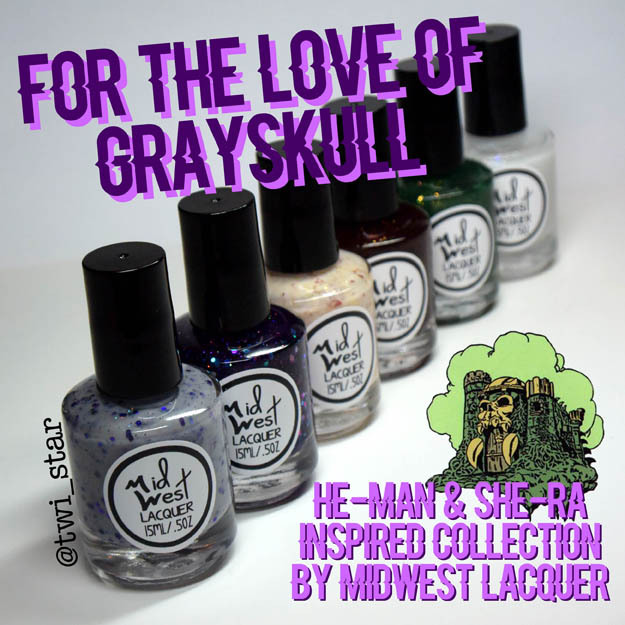 MidWest Lacquer For The Love of Grayskull He-Man inspired collection! Are you ready for an 80s flashback? I posted these swatches to Instagram @twi_star already and I think a huge amount of my followers weren’t alive in the 80s haha! 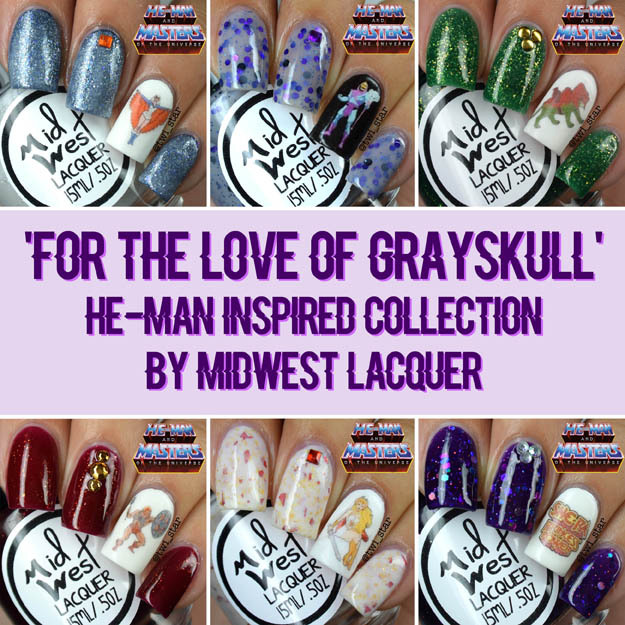 Anyways, enough of being old, today I have the ‘For the Love of Grayskull’ He-man and She-Ra inspired polish collection from MidWest Lacquer (Vinyl It Up) to show you! This collection releases on Friday, July 24th at 7:00 pm EST. Make sure to follow @vinylitup for more swatches. Look at how fun these are! I have such fond memories of this show and running around the house pretending to be She-Ra! For all my accent nails I made my own water decals. I used decal transfer paper that I found on amazon, you print the images and then spray a few coats of spray paint clear coat onto the printed sheet. You have to really let them dry for at least a day before applying to your nails and topping with top coat. I’m starting out the week with pink holo lol Today I’m reviewing the Glisten & Glow contribution to the August A Box Indied ‘Veni Vidi Vici.’ This box goes on sale July 26th and can be purchased at Llarowe, follow @aboxindied on Instagram for more swatches and updates! Let’s get started. 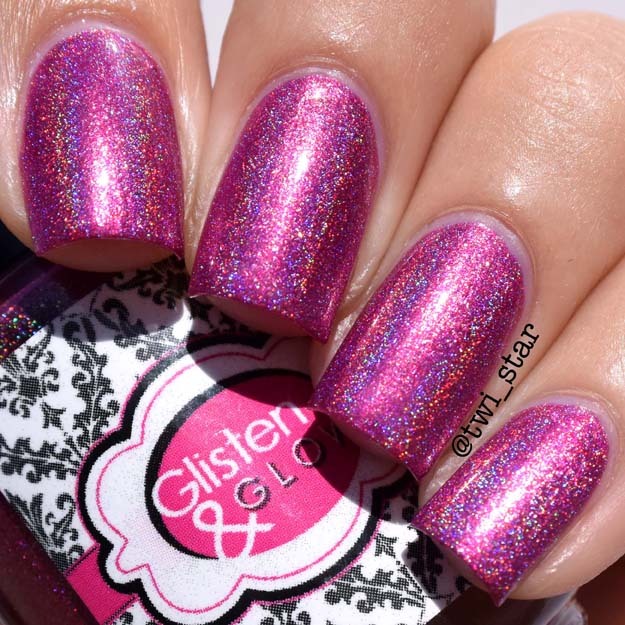 This beautiful fuchsia pink holo is ‘Veni Vidi Vici.’ This pic was taken in the sun. It has a stronger holo presence in person and there are silver flakes in there but for some reason they only showed up in pics taken in the shade but are visible in person. This applied really easily, I used 2 smooth coats no issues with application and of course topped with 1 coat of Glisten & Glow HK Girl Top Coat. Ohhhh boy do I have something fun to share today! 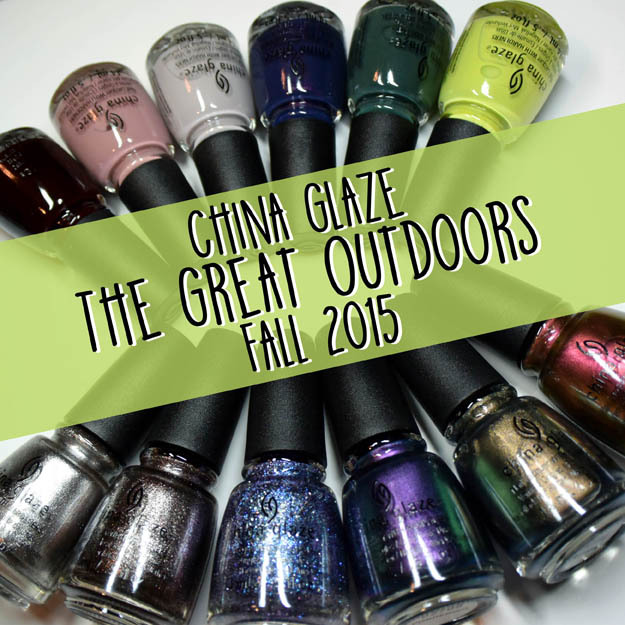 The China Glaze The Great Outdoors Fall 2015 Collection! Wait a minute, isn’t it July? Why yes, yes it is lol I’ve actually had this collection for 2 months but just didn’t have time to swatch it, bad bad Angel. (I purchased these) I think we usually start to see swatches in August so yea to early even though Summer started about 5 mins ago. 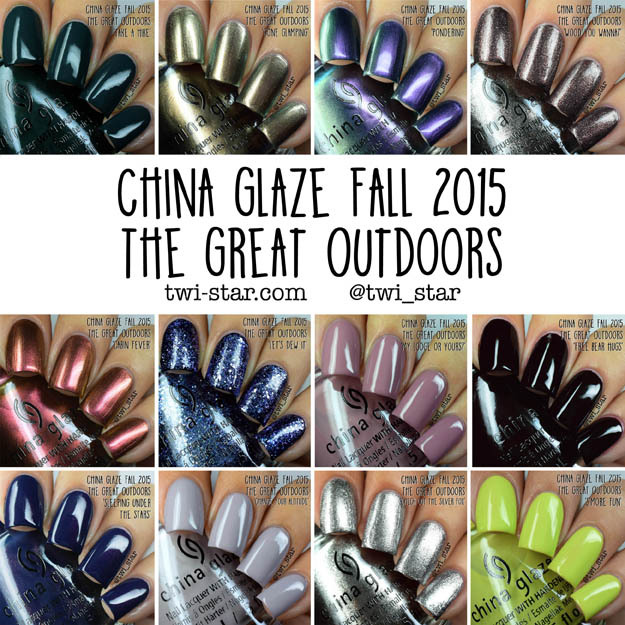 I’ve been on a real China Glaze kick and I’m a big fan of this collection, my type of colors. But surprisingly I think I like the duochromes and glitter the best! Shocking since crème is my fav finish. Ok let’s do this! Ooooooooo, aaaaahhhhhhh! This collection consists of 6 cremes (one has shimmer), 3 duochromes, 2 shimmer metallics, and 1 glitter flakie.